ALBANY – Christine R. Tierney passed away on Thursday, September 20, 2018. Born in Albany, NY, she was the daughter of the late Amedeo and Anna (Thomas) Iacobucci. Christine was a former Eucharistic Minister, Patient Representative, and Pastoral Visitor at St. Peter’s Hospital. She was a former member of the Ladies of Charity of the Albany Diocese. Christine enjoyed participating in the Senior Citizens Group of All Saints Church, as well as being a member of the Book Club at the Italian American Community Center. Christine was predeceased by her husband, John, and her sister, Elizabeth Peterson. She is survived by her children, Michael Tierney, Matthew Tierney (Kristin), and Victoria Jesiolowski (Bruce); her grandchildren Amy and Kevin Jesiolowski, and Zachary and Alexis Tierney; her sister Regina Peterson; and by several nieces and a nephew. Services will be held privately at the convenience of the family, and her interment will be in Holy Sepulchre Cemetery, East Greenbush. Donations to The Community Hospice Foundation, 310 S. Manning Blvd., Albany, NY 12208, in Christine’s memory, would be appreciated by her family. 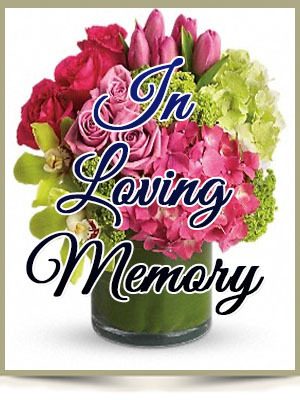 To leave a message of condolence for the family, please visit www.HansFuneralHome.com. I am so sorry to read about your mom’s passing. We send our deepest sympathy and condolences to you and your families. Your mom and dad were friends with my parents (Jack & Kathleen Connors) many years ago and I fondly remember the stories of fun they had. They are all together now once again. God bless you, and give you strength at this difficult time.